On a day when dishes and laundry pile high or when whining is in overabundance (ohhhh yesss), visiting the elderly and blessing them blesses me back a hundred fold. Despite having young children, I try and make it a habit to visit our local nursing home often (when they are not sick, of course). It’s not the typical playground nor is it the most convenient place to bring young children. But visits to see the elderly are exciting because that’s when my kids and I witness the magical effects of kindness. As we walk into the nursing home every visit, I always whisper to my 4 year old girl that in her just being present, she has the power to make people very happy. My children and I have caught on to the fact that our simplest and even smallest gestures have the power to transform someone’s day. My 2 year old boy loves to watch the birds in the community room at the nursing home. He yells “BIRD!” and literally all old ladies perk up and smile. Like I said, magic. 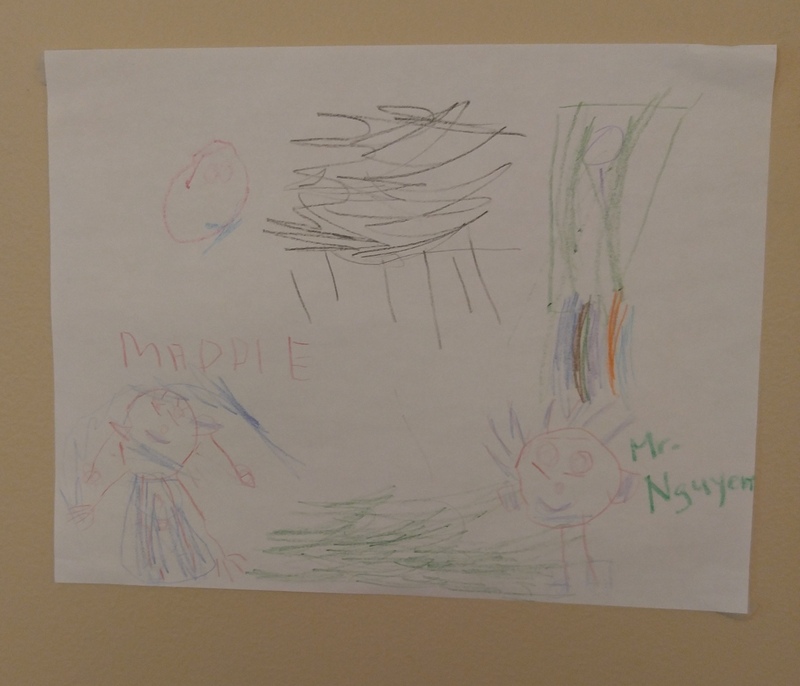 My daughter draws a picture for one of the residents. She hangs it on his wall. “My daughter and her cousin sing “Jesus loves me” in Chinese to a resident who doesn’t speak a lick of Chinese. Yes, with their small acts of kindness, our children see that everyone around them (including the staff) are so happy. When I visit, my visits are short, typically only 15 minutes. But I really don’t feel guilty because those 15 minutes can have such great impact. And that’s the beauty of it. On the many days where I am so tired of my momjob, visiting the local nursing home not only revives the elderly, it revives me too. Being kind can take a second and can be so much fun…pretty magical.